Linda Aldrich is accomplished in a variety of media including drawing, painting printmaking and ceramic art. A native of Ohio, Linda attended Pratt Institute in Brooklyn, New York. She began her art career as a stained glass artist in New Jersey. 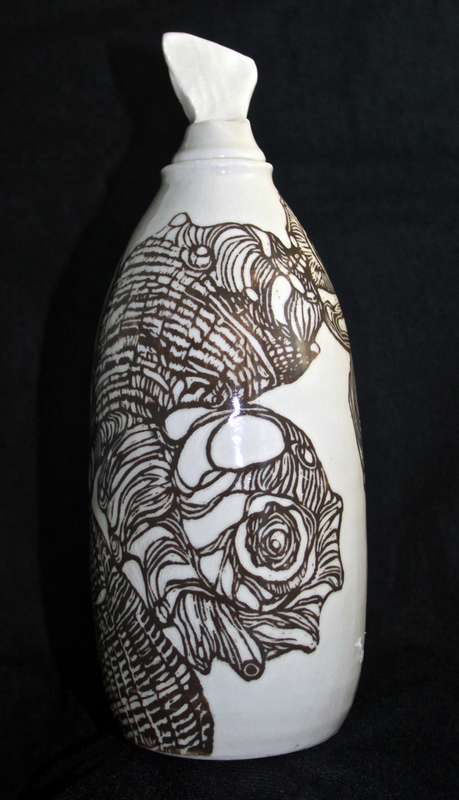 Linda continued to paint and draw in her spare time showing her work in juried exhibitions. 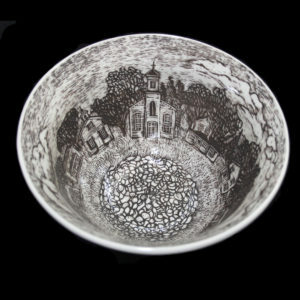 Subjects include portraiture, landscapes as well as a unique detailed sgraffito technique on porcelain vessels. My forms are practical, decorative and reflect my direct observation of subject and narrative. 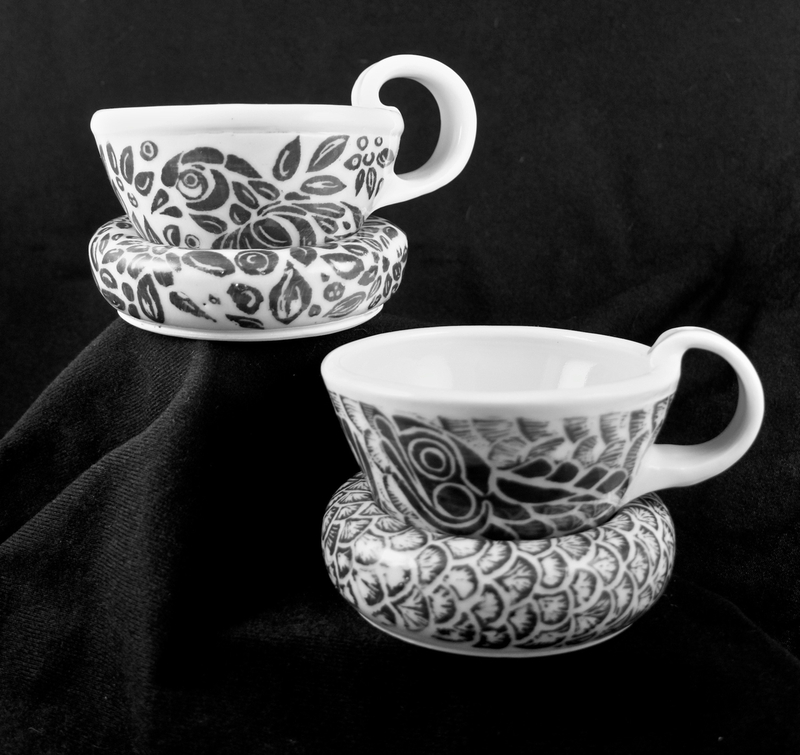 My ceramic process is twofold. Traditionally, artists draw from the shadows. 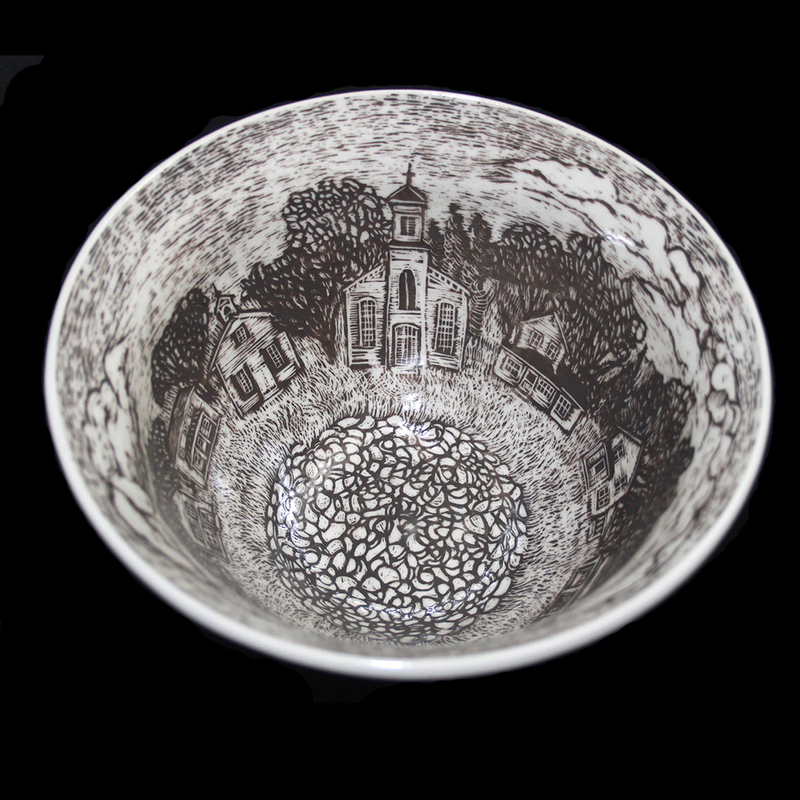 I still draw my images on greenware in a traditional way of using value. As I begin the sgrafitto work, I am drawing in the light first. This method helps create bright highlights and save the richest, darkest tones of a drawing. The process itself also allows for evolution and surprise as each piece is drawn first in positive line and secondly focusing on the negative spaces of the subject. My current work shows a stronger connection between form and surface treatment. For example, I have used the fluid form of a bowl to enhance the swirling movement of the fish within in “Fish Bowl.” As my work evolves, I plan to develop a series of forms that focus on a more architectural forms supported with figurative elements. I am excited to see where my current process will take me as my work evolves. The Craft Store and Gallery at Peter’s Valley in Layton, New Jersey currently represents Linda Aldrich. 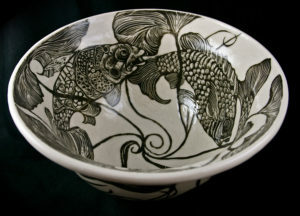 She can also be contacted through the web sites for both The Blackwell St. Artists and The New Jersey Potters’ Guild. These sites also contain current and future show information.